An information panel shows the way to the start of the via ferrata on the Turuwang. Walking time from the railway station to the entry point: approx. 30 minutes. 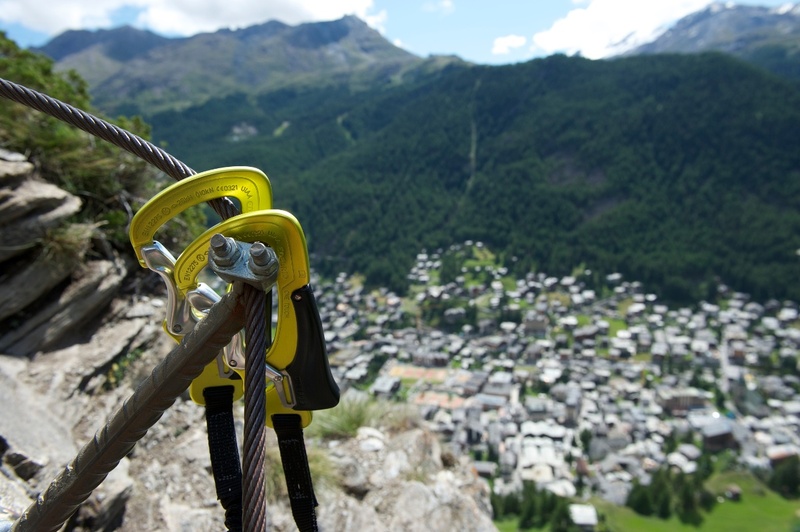 The via ferrata in Zermatt requires agility, a good head for heights and a sure foot. After the first section, there’s an ideal spot for a picnic. Close by is the Beresina hut. This recalls the era of the Napoleonic wars. Valais had been occupied by Napoleon in 1799, and each municipality was required to provide a young man to enrol for combat in Russia. In Zermatt no one came forward, so a tempting offer was made: whoever signed up for military service would receive, on return from the Russian campaign, the stable with a lush pasture up on the Turuwang. At last a young man volunteered. At the battle of Beresina about 1,000 Swiss lost their lives, and the young man from Zermatt never came home. Access: From Zermatt station, follow the Bahnhofstrasse. Just after the office from the Zermatters, turn right onto the path leading to Edelweiss and Trift. Climb out of the village, up towards the Triftschlucht gorge. Before the path reaches the bridge over the Triftbach river, turn right onto the trail leading to the start of the via ferrata (approx. 30 minutes). 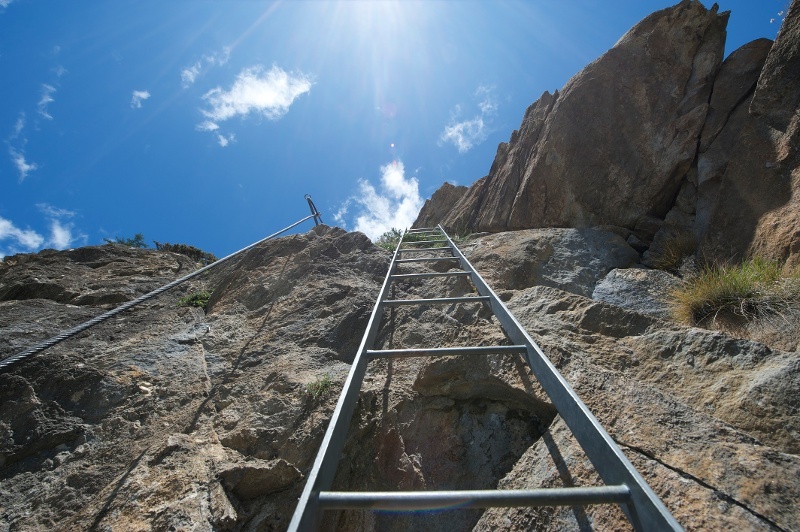 Descent: After completing the via ferrata, follow the path back to Zermatt (approx. 20 min). 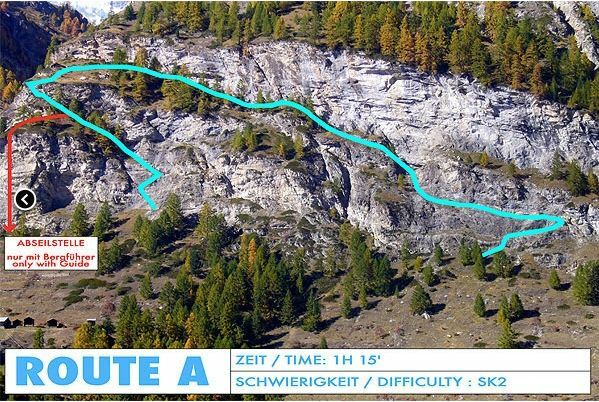 The map shows the access and return paths as well as the via ferrata itself. The Beresina hut with its view of the village is suitable for the first break to catch your breath. Bring drinking water; the rock walls often radiate a great deal of heat. Plan excursion carefully and adapt to participants’ fitness level as well as the weather and season. Do not attempt to climb via ferrata in stormy weather. Use a full safety-compliant equipment set. Take careful account of participants’ ability. 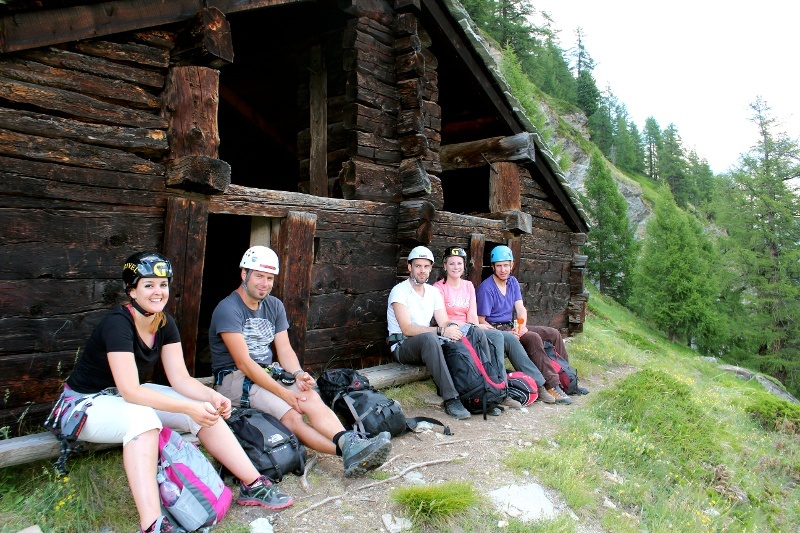 Via ferrata can also be climbed with a mountain guide. Maintain sufficient distance from other climbers. Use abseil site only with a mountain guide. Note: Take note of the weather. 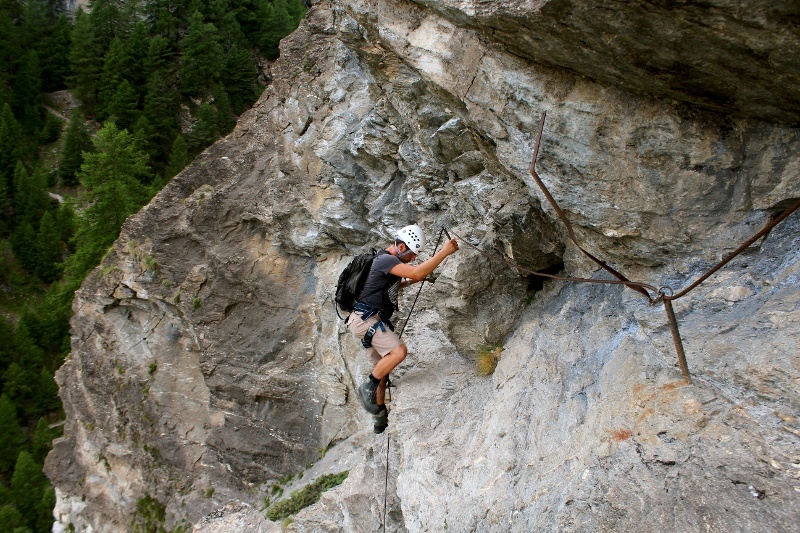 On a via ferrata with metal elements, a storm can be deadly.